ALATRADUZ – Ana´s Words: Take Care of Your Customers! Best Practices + Quality + Respect! Take Care of Your Customers! Best Practices + Quality + Respect! How to build Customer Loyalty. Secret number one, which is by far the most important one. I was taught Customer Loyalty many years ago, long before I started my own business. I was 9 years old, and worked part time for my dad (my best boss) in his Small Grocery Store. My boss insisted that every one of his employees (“my brothers and I”) had to know the customer by his full name and, when possible, other personal information about him (for example, health problems in their family). If a customer comes to you about a complaint, attend to their concerns promptly. Is the customer upset or angry? First, calm him with words and action and show that you are interested in doing something to correct the problem. Even if it is obvious that he/she is wrong, sometimes it is better for a business to take the loss and compensate the customer. When working with as a team on a large project, everyone should respect the needs of your customers. My 15 year old son sent an e-mail to Publix (large company in USA and the best grocery store for me) commenting that the quality of the Publix Premium Chocolate Chip Cookie Dough ice cream and the Publix Deli Lemonade was less than acceptable. E-mail from PUBLIX was addressed to an unhappy teenager disappointed in the quality of the ice cream and lemonade!! Congratulations PUBLIX! You made my son feel a Very Important Person. I will shop more and share their best practices, quality and respect . This is a small example of observed Good Business Practices and my desire to improve in all my Services. 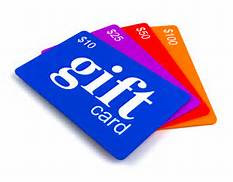 If you are not 100 % satisfied with the quality of my language service, I offer one gift card for your next purchase. 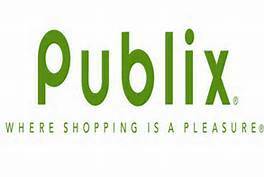 I want you to feel like you are at PUBLIX, where shopping is a real pleasure!